The day has finally come: it’s time to settle into your new home! Unfortunately, as the movers brought your belongings into your new home, you noticed some small scratches on your television, a broken table leg, or worse. You’re going to have to file a moving insurance claim, and we’re here to help by guiding you through the process, step-by-step. Prepare to file a moving insurance claim before your move happens. It might sound odd to prepare to file a moving insurance claim (no one wants their items to get damaged). However, a little preemptive vigilance can ease the process if you end up needing to file a moving insurance claim later. 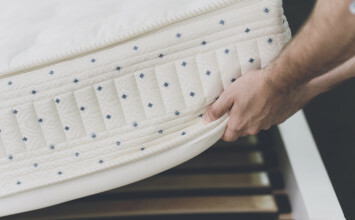 The first thing you should do to prepare is create a detailed inventory of your belongings. Include the item’s condition and monetary value, as well as any receipts or credit card statements that can prove that monetary value. It’s also wise to take photos and videos of your items so that if you have to file a moving insurance claim, you can provide concrete evidence of the item’s previous condition. Though your moving company will do their own inventory of your belongings on move-out day, having both your list and the moving company’s list will ensure that no items are missed. Plus, having two lists means you will be able to provide double the evidence if you are forced to file a moving insurance claim later on. Make sure to keep your list handy while movers are taking inventory. Then, when you’re asked to approve the moving company’s inventory, you can cross-reference the two lists for maximum accuracy. You should also keep track of all communication with your moving company. Write down the names of every individual you speak to, take notes on your conversations, and keep copies of every piece of paper you receive or sign. 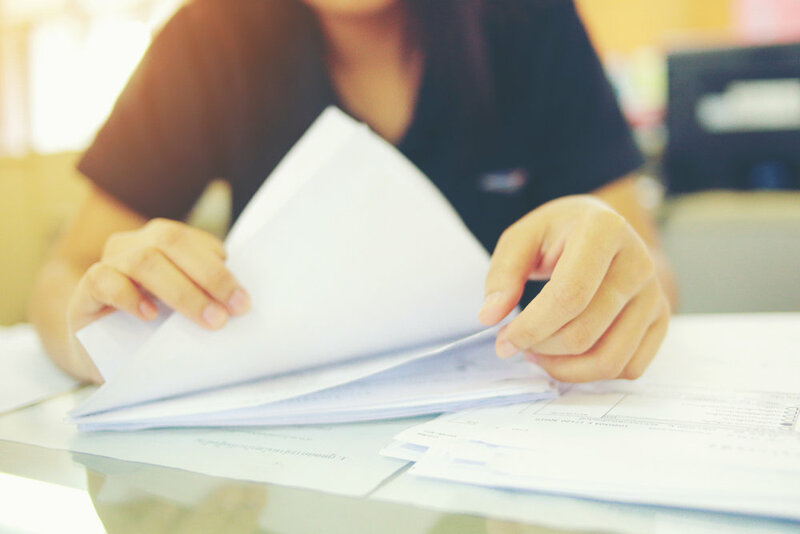 If you have to give a timeline of events when filing a moving insurance claim later on, you’ll be grateful for these records. 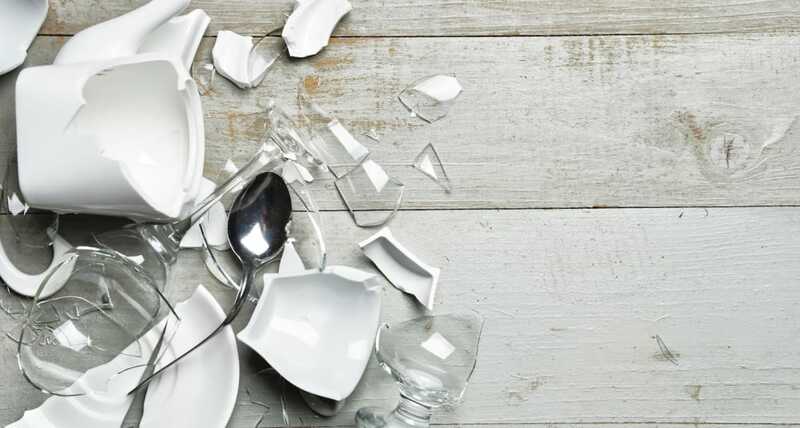 If after you’ve done all the prep work, your moving company shatters your fine china, damages your couch, or loses a whole box of your belongings, what can you do? Start the process of filing a moving insurance claim immediately by following the steps below. Step 1: Document the monetary value of, and harm done, to damaged items. The moment that you spot damage to one of your belongings, take photos of the item from various angles. In addition, document in written form the damage to the item and what its previous condition was. Then, keep the damaged item on hand, no matter how small. In order to file a claim, some moving companies will require this physical evidence. Next, be sure to document the monetary value of the damaged item. Search your credit statements and receipts if you purchased the item yourself so that you have proof of the value of the item. Step 2: Keep documentation of all communication with your moving company. Collect all records of communication with your moving company, from the moment you hired them to present day. You need to put together a timeline so that you can tell the story of how the damage occurred to your item. Make sure you have hard copies of all contracts, letters, receipts, bills, and faxes that you received from the moving company. If these items have to be sent to the moving company for any reason, keep a copy for your own records. You also need to ensure that you keep an accurate record of communication with the moving company going forward, whether on the phone or via email. Before you speak to anyone on the phone, ask for the individual’s full name and contact information. Include the date you spoke to the person and highlights of your conversation in a spreadsheet or notebook. Step 3: Review your contract with the moving company. The Bill of Lading is a document that confirms, with your signature, the agreed upon pick up and delivery date for your belongings, as well as your insurance coverage. Make sure you have a copy of this document. Before filing a claim, read through it to make sure you understand how much (in monetary terms) your moving company is actually liable for. Did you agree to release value coverage or full value protection coverage? 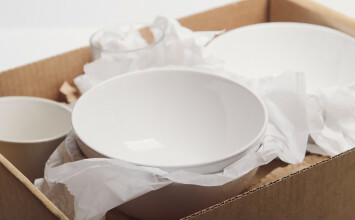 If you chose release valuation coverage, the moving company may only be liable for 60 cents per pound of the item damaged — regardless of the original purchase price. For example, if your moving company broke a table that weighed 80 pounds, you would only be compensated $48. However, if you chose a more comprehensive coverage plan, you could be compensated for the full value of the table. Before you file a moving insurance claim, make sure you understand which moving insurance terms you agreed to. Next, you should take a look at the home inventory sheet that your movers put together when moving things out of your home. Review this list in order to prove that the damages weren’t pre-existing. Step 4: Tell the moving company you are filing a moving insurance claim. Next, let your moving company know you are filing a moving insurance claim. The moving company is the best source to turn to for questions about moving insurance claims. Every moving company has a slightly different process and policy, so make yourself aware of extra steps or documents required by contacting your moving company. In addition, tell the moving company what was damaged or lost, ask if they need to see physical evidence of the damage, and ask what their dispute settlement process is. The moving company may choose to settle the dispute with you directly. If not, however, they should send you the forms that you need to file your moving insurance claim. Step 5: File the moving insurance claim. You must file your moving insurance claim within nine months of your items’ delivery date. The earlier you begin the process, the better! 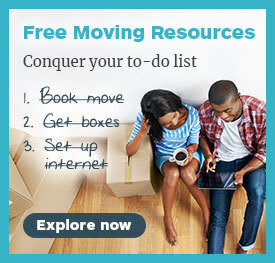 As soon as you hear back from the moving company and receive the forms you need, get moving (pun intended). After you file a moving insurance claim, the moving company legally has thirty days to acknowledge your claim. From there, they have 120 days to resolve the claim. How the moving company resolves the claim depends on what kind of moving insurance you agreed to, so again, make sure you understand how much your moving company is actually liable for. Avoid mistakes that can affect the success of your moving insurance claim. 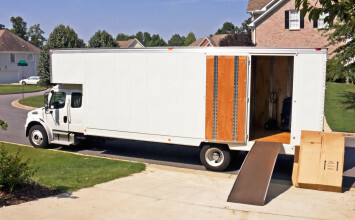 If you make these mistakes, you could reduce your mover’s liability and limit your ability to make a successful claim. Make sure you are aware of the actions that can reduce your mover’s liability before moving day. When the movers arrive to deliver your belongings at your new home, thoroughly check everything that comes off the moving truck for damage. You must note damages and losses before you sign your delivery receipt and the movers leave your home. If you sign the delivery receipt and realize even just a day later that things are missing or damaged, you’ll have a difficult time making a claim. You can still technically make a claim, but the movers will likely state that they didn’t do the damage, and they’ll have strong evidence (your signature!) to support their case. If the movers can blame you for damage, you’ll have a difficult time filing a moving insurance claim. For example, if the moving company can prove that your poor packing was the cause of broken items, you’ll be held responsible for damages. To keep that from happening, ensure that fragile items are properly packed and clearly labeled as fragile. On the other hand, if you pack perishable, dangerous, or hazardous items on the moving truck without disclosing their presence to the moving company, and then those items spill or break, you’ll be the one responsible for damages. If you fail to notify your mover of possessions valued at over $100 per pound, you may not gain much from making a claim on these items of extraordinary value. Moving companies are allowed to limit their liability for these items if they are not listed on a special inventory list. Before you move or before filing a moving insurance claim, be sure to ask your moving company about their policies on items of high value. The cost of moving insurance is typically linked to the dollar amount you value your household goods at. If you chose to value your goods at less than they are actually worth, you probably saved a bit of money upfront. However, just know that when you file a moving insurance claim, the moving company will pay out according to the original value you declared. Whether your movers dropped a box of dishes or lost all of your belongings, just follow the steps above. Know that whatever the case, you’ll hear back from your moving company in just a couple of months. In the meantime, celebrate a (mostly) successful move and enjoy settling into your new home!